A dozen Olympic champions are set to face strong early season challenges as the 2017 IAAF Diamond League series continues in Shanghai on Saturday (13) evening. A unique discus competition with the world’s best men and women taking the spotlight in alternating rounds will be staged in Shanghai, part of the innovative format introduced by local organisers. Two-time Olympic discus champion Sandra Perkovic will be looking forward to extend her winning streak at China’s most prestigious one-day track and field competition. The 26-year-old Croatian took victories with national records in 2012 and 2016 respectively. Last year, she reached a meeting record of 70.88m to continue her dominance in Shanghai, a result that put her on top of the world list in 2016. The consistent Perkovic has also proved her form in 2017 with a world lead of 70.23m achieved in February. Melina Robert-Michon registered a French record of 66.73m to finish as the runner-up to Perkovic in Rio. 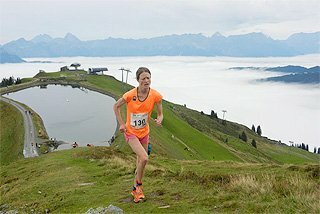 This time the 38-year-old veteran is also aiming to upgrade the bronze medal she earned three years ago in the coastal Chinese city. Cuba’s world champion Denia Caballero is also a serious contender. 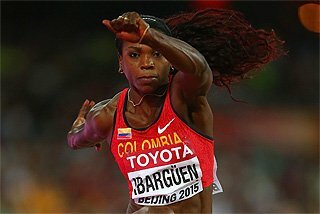 Caballero grabbed the bronze medal in Rio, finished third in Shanghai last year at 66.14m and has a 70.65m PB set in 2015. The field also includes Olympic fourth-place finisher Dani Stevens of Australia who was second last year and Germany’s world bronze medallist Nadine Muller who is making her Shanghai debut. A rematch from the top three finishers at last August’s Olympic Games will also be witnessed on the men’s side. Germany’s Christoph Harting, who bettered his PB to 68.37m when winning Olympic gold last year, will be facing Poland’s Olympic silver medallist Piotr Malachowski, who is also the world champion and 2016 Diamond Trophy winner, as well as countryman Daniel Jasinski, who took the Olympic bronze at 67.05m. In the women’s shot put event, local star Gong Lijiao is aiming to collect her third title after victories in 2011 and 2015. The 28-year-old Chinese, who took the silver medal at the 2015 World Championships, is the only 20-metre shot putter in the field with a PB of 20.43m set last year. Hungary’s Anita Marton, the Olympic bronze medallist, could be the biggest threat to Gong. 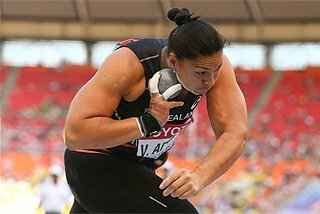 She has already displayed solid early season form with a world-leading mark of 19.63m set two weeks ago. Double Olympic champion Elaine Thompson will be the star attraction in the sprints. The 24-year-old Jamaican has already illustrated her sound form this season, clocking a wind-assisted 10.75 (+2.2m/s) in Kingston last month and out-racing world 200m champion Dafne Schippers to win the half-lap race in Doha last Friday. It will be Thompson’s first appearance in Shanghai where she’ll face challenges from Olympic 200m silver medallist Tori Bowie of the USA and Olympic 100m and 200m finalist Michelle-Lee Ahye of Trinidad and Tobago. Another Olympic gold medallist, Shaunae Miller-Uibo of The Bahamas, will take on Jamaica’s Stephenie Ann McPherson in the women’s 400m in her season’s debut. Miller-Uibo clocked a winning time of 50.45 to beat McPherson by 0.53 last year in Shanghai, but the latter turned out to become the eventual Diamond Trophy winner of 2016. 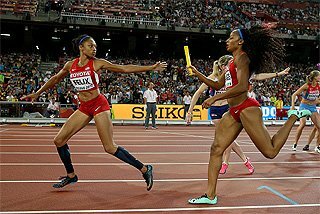 The field also includes Jamaica’s Novlene Williams-Mills, whose PB of 49.63 was set in the Shanghai Stadium back in 2006. 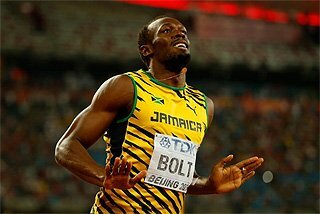 The men’s 200m features three Olympic finalists including Britain’s Adam Gemili, Churandy Martina of the Netherlands and USA’s two-time world and 2008 Olympic 400m champion LaShawn Merritt, who ranked fourth, fifth and sixth respectively in Rio last year. French world record-holder Renaud Lavillenie, the only seven-time Diamond Trophy winner, will start his outdoor season in Shanghai and is definitely looking to retain the title he won in 2014 when he set the meeting record of 5.92m. The 30-year-old pole vaulter will face a fierce challenge from Olympic champion Thiago Braz, who scored a stunning upset victory in front of jubilant local crowds en route to his 6.03m Olympic record, leaving Lavillenie to settle with the silver medal at 5.98m. The star-studded field also includes world champion Shawn Barber from Canada, 2013 world champion Raphael Holzdeppe of Germany and Olympic bronze medallist Sam Kendricks of the US, who claimed the title in Shanghai at 5.88m last year. Chinese record-holder Xue Changrui is also in the field. Another local star, Zhang Guowei, will try to return to his best form in men’s high jump. 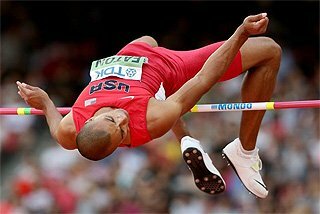 The 26-year-old set his PB of 2.38m in Eugene two years ago but was hampered by a hip muscle injury last year, failing to reach the Olympic final. He is struggling to find his form in the 2017 season so far and eager to prove his worth in front of his long-time rival Mutaz Essa Barshim. The 26-year-old Qatari, on the contrary, is enjoying a flying start. History’s second highest jumper at 2.43m, Barshim leaped 2.35m last month and went on to clear 2.36m to win in Doha last week, a mark that puts him on top of the world list. World and Olympic champion Derek Drouin of Canada will compete for the first time in Shanghai. 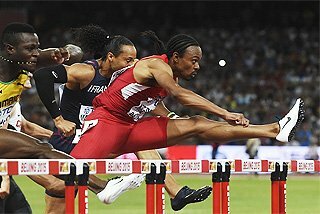 He will be the biggest threat to Barshim, who is eyeing a third title here after setting a stadium record of 2.38m in 2015 and claimed the title at 2.33m in 2013. 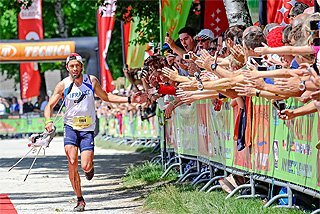 Olympic gold medalist Jeff Henderson will return to Shanghai for the third time and looking to notch his first victory. The 28-year-old from the USA will take on South Africa’s Luvo Manyonga, who improved the African record twice this year to 8.65m, and China’s Gong Xinglong, who won in Shanghai last year at 8.14m. The men’s 800m race showcases world record-holder and world and Olympic champion David Rudisha. 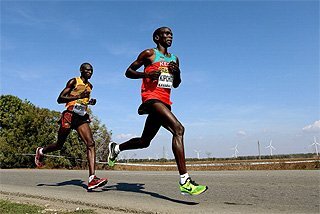 The 28-year-old Kenyan will be challenged by compatriot Ferguson Cheruiyot Rotich, last year’s Diamond Trophy winner. 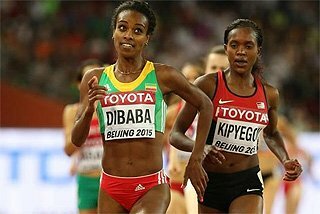 The women’s 1500m field will be led by Kenya’s Olympic gold medallist Faith Kipyegon, who set the meeting record of 3:56:82 last year, while the women’s 5000m will feature a clash between Olympic silver medallist Hellen Obiri of Kenya and Ethiopia’s world runner-up Senbere Teferi. 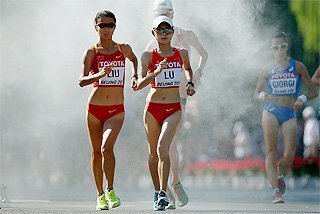 And finally, the women’s 3000m steeplechase – not a point-scoring race in Shanghai – features a rematch of last weekend's scintillating contest between Bahrain’s world record-holder and Olympic champion Ruth Jebet and Kenya's world champion Hyvin Kiyeng, who outkicked Jebet in the IAAF Diamond League opener in Doha. As the Olympic champion and Diamond Trophy winner in the 400m hurdles, Kerron Clement is ready to bounce back from the disappointing seventh-place finish in Shanghai 12 month ago. The two-time world champion will take on Turkey’s European champion Yasmani Copello, who took a sliver in Rio last year. 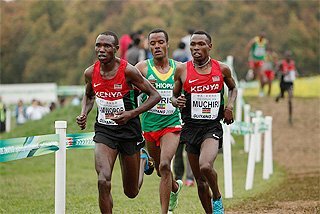 Kenya’s Nicholas Bett is also a serious contender as the 27-year-old world champion is aiming to build up for retaining the world title at the forthcoming World Championships in London. As is tradition in Shanghai, the 110m hurdles will conclude the meeting and the organisers have assembled a field worthy of any global final. Jamaica’s Omar McLeod clocked a world lead of 12.98 to win in Shanghai last year before later snatching gold in Rio. He’s shown good form in 2017 as the 23-year-old has already registered a world lead of 13.04 in Des Moines two weeks ago. Last year’s Diamond Trophy winner Orlando Ortega, who earned silver for Spain at the 2016 Olympic Games, is also poised for a positive start in his 2017 campaign. He will be joined on the starting line by world record-holder Aries Merritt of the US and 2013 world champion David Oliver, the 2015 Diamond League winner who won in Shanghai two years ago. It will also be unwise to ignore world champion Sergey Shubenkov, who has a PB of 12.98 clocked in Beijing two years ago and is set to compete in his first international race since 2016.